Richard III was the brother of Edward IV and youngest son of Richard, Duke of York, was born at Fotheringay Castle in 1450. Soon after the accession of Edward IV. he was created Duke of Gloucester, K.G., and lord high admiral though only in his eleventh year. Other dignities and offices were afterwards conferred on him. In 1470 he accompanied the king to Flanders on the restoration of Henry VI by the Earl of Warwick returned with him and took part in the battles of Barnet and Tewkesbury, and in the expedition to France in 1475 ; and commanded the expedition against Scotland in 1482 when he took Berwick and Edinburgh. 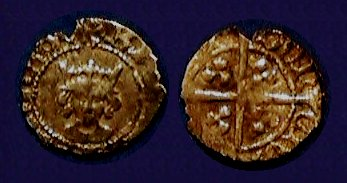 Already popular suspicion attached itself to Gloucester as the murderer of Prince Edward after the battle of Tewkesbury, and of Henry VI. in the Tower; but conclusive evidence is wanting. The attainder and death of his brother, the Duke of Clarence, which took place in 1478, were more certainly instigated by him. On the death of Edward IV., in 1483, Gloucester, who was still on the borders, got possession of his young nephew,Edward V., marched to London, and was named Protector of the kingdom. The Duke of Buckingham associated himself with Gloucester in these measures, and was at once appointed chief justice and constable of the royal castles in Wales. The sudden arrest and execution of Lord Hastings was followed by that of Earl Rivers, Lord Grey, Vaughan, and Haute; the young king and his brother were sent to the Tower; and a sermon was preached at Paul’s Cross, by one Ralph Shaw –brother of Sir Edmund Shaw, citizen and goldsmith, Lord Mayor of London, and founder of the grammar school at Stockport, in Cheshire –setting forth the bastardy of Edward IV. and Edward V., and the claim of Gloucester to the throne. This was supported two days later by a speech of Buckingham, and the Protector was offered and accepted the title of king on the 26th June. The young princes were no more seen, and the belief established itself that they were murdered by order of Richard. After his coronation he made a progress through the country, and was crowned a second time at York. But plots were already forming, and an offer of the crown was conditionally made to Henry, Earl of Richmond. Buckingham, who had just been made constable of England, joined in them, and falling into the king’s hands, was beheaded at Salisbury. In the following year Richard lost his son, and a year later his queen, Anne, daughter of Warwick and widow of Prince Edward. On the 7th August, 1485, Richmond landed at Milford Haven; the battle of Bosworth was fought on the 22nd, and Richard was defeated and killed. His remains were buried in the monastery of the Grey Friars at Leicester ; but his tomb was destroyed on the dissolution of the monasteries. Richard III. was the last of the Plantagenets. Whatever doubt and obscurity involve the crimes commonly laid to his charge, it is certain that he was author of some wise and important laws; was watchful of the interests of trade and navigation; brave and skilful in war; and liberal and grateful in his private relations. In his reign the statutes were first written in English and printed; the first English consul, for the interests of commerce, was appointed; and the vague beginning of our vast Post-office system may be traced. 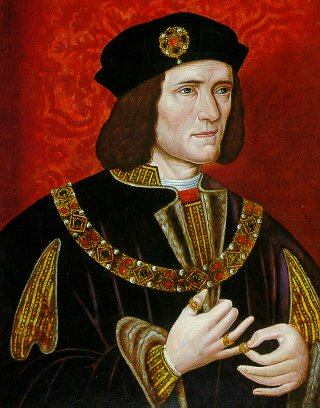 A portrait of Richard III., by an unknown artist, has been presented to the National Portrait Gallery.